Taking the stage at a company event with the showmanship of a vaudevillian, John Legere, CEO of T-Mobile US, came to New York last week, firing off fighting words aimed at AT&T, Verizon Wireless, and Sprint. Though much of his focus was hyping the company to analysts, journalists, and business folks about pricing and services—there was a glimpse of how important access to spectrum is for upstarts trying to scale up in wireless. Building up that network though will require spectrum, a finite commodity that the big guys in wireless have taken huge swaths of. Back in January, T-Mobile, which has its U.S. headquarters in Bellevue, WA, reportedly bid about $1.8 billion in an auction of wireless spectrum conducted by the Federal Communications Commission. It was a drop in the bucket compared to what AT&T and Verizon Wireless bid. Though his company did get another sliver of the airwaves, Legere had some scathing words in February about the auction process and how it lets a small number of players, primarily AT&T and Verizon Wireless, corner the market. The crux of Legere’s rant has been about getting spectrum set aside for the little guys among wireless carriers. Another auction is due in 2016 for low-band spectrum, which he said is well-suited for carrying wireless data—and may be vital to T-Mobile’s plans to keep scaling up. So the company petitioned the FCC to change rules of the auction, which it claims would help feed competition. 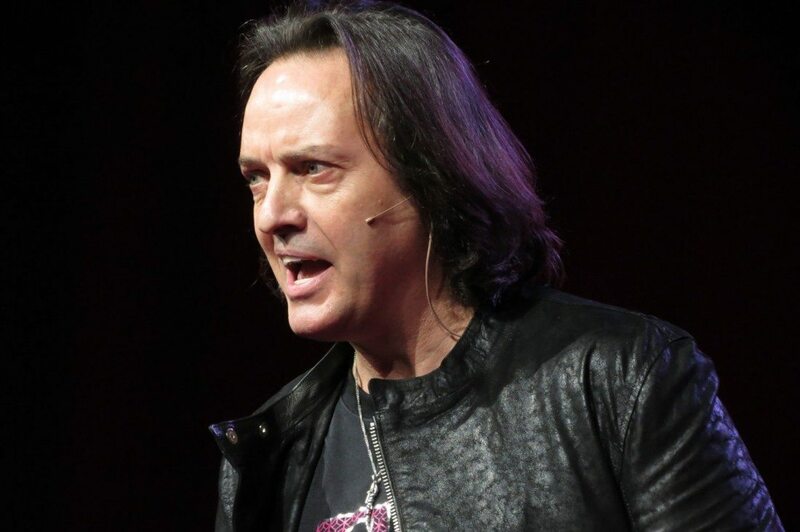 Touting the speed of T-Mobile’s current network, Legere cited a study by OpenSignal released this month that ranked his company as having the fastest downloads among U.S. carriers. “That’s very important to what we are doing,” he said. However, another look that same study shows T-Mobile was behind Verizon Wireless and AT&T in terms of the proportion of time its users had access to its 4G LTE network.